Luvdisc in game: 3,547 Who? Important notice! 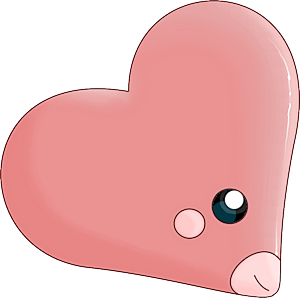 Pokemon Luvdisc is a fictional character of humans. Luvdisc is a fish-like Pokémon with a relatively flat body in the shape of a heart. Loving couples gave this Pokémon its name after spotting it in the ocean waters. It is primarily light pink, with pale lips and circular markings on its cheeks. During the spring, it forms groups that turn the ocean's surface bright pink. Luvdisc lives in warm seas, where it makes its nest in the branches of Corsola or coral reefs. As shown in Luvdisc is a Many Splendored Thing!, when two Luvdisc kiss, they are able to use their slender bodies as wings in order to fly for short periods of time. Both Misty and Daisy have a Luvdisc, nicknamed Caserin and Luverin. They acquired the two Rendezvous Pokémon in Luvdisc is a Many Splendored Thing!. Juan's Luvdisc was first seen in The Great Eight Fate!. It was also used in the following episode in the Gym battle against Ash. 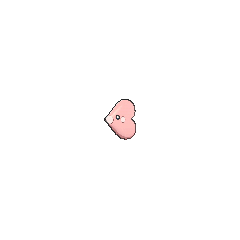 Several Luvdisc also appeared in Clamperl of Wisdom. Many wild Luvdisc appeared in multiple scenes of Pokémon Ranger and the Temple of the Sea and at the beginning of Giratina and the Sky Warrior and Zoroark: Master of Illusions. A few Luvdisc also appeared in Hold the Phione!. Multiple Luvdisc appeared in Going for the Gold!. Multiple Luvdisc appeared in An Undersea Place to Call Home!. Two Luvdisc appeared in The Guardian's Challenge! 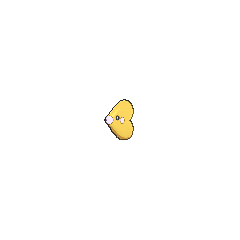 and SM006. 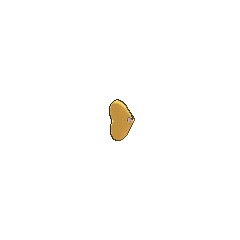 Three Luvdisc appeared in SM005. 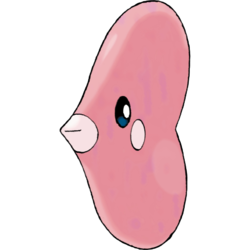 Wallace's mentor, Juan, also uses a pair of Luvdisc that first appeared in With a Spoink in Your Step II, who observe him as he trained Ruby and Sapphire. Luvdisc is based on the discus fish and certain other species of fish that appear to kiss each other (such as the kissing gourami). It is shaped like a heart symbol. Its Shinycolors may be a reference to having a heart of gold, which signifies a person or being completely without malice, whose nature is loving or caring. Mandarin Chinese 愛心魚 Ài Xīn Yú Literally "Love fish".